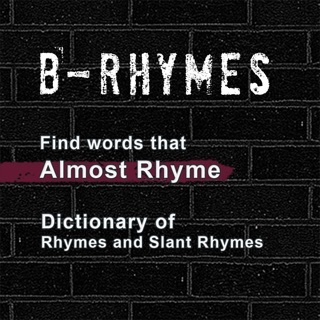 iRhyme is a brand new rhyming dictionary that gives you the best, most popular rhymes used by real songs! Make your poetry, songwriting and rapping easy and fun with iRhyme! 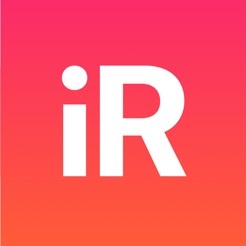 iRhyme analyzes over 60,000+ songs to give you the best rhymes and lyrics. 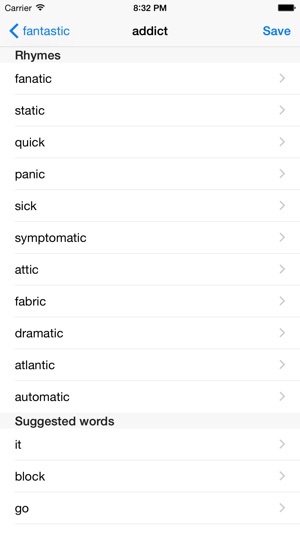 iRhyme contains over 1.5+ Million rhymes, 57,000+ words - all instantly at your fingertips, right in your pocket! 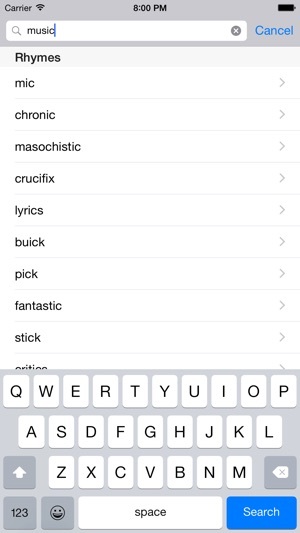 * Tap any result to instantly see more rhymes... and again for even more rhymes! 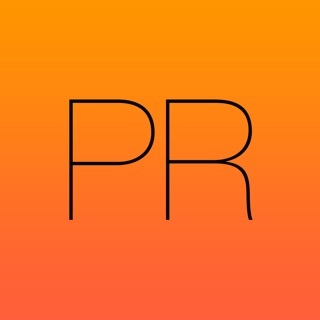 iRhyme - over a million rhymes in your pocket! 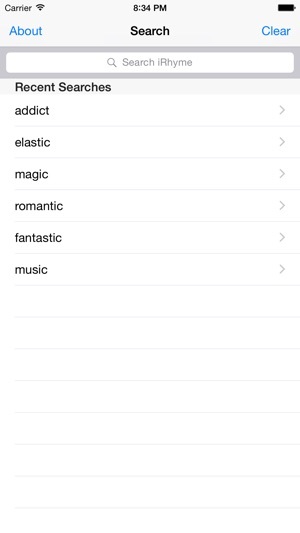 - New streamlined interface shows rhymes and suggested words together! This app is exactly what I was looking for. This blows all the other rhyming apps out of the water! This is better than "Rhyme" "Rhyme Time" and "Perfect Rhyme" COMBINED, ( I have all 4) no Internet connection, HUGH word bank and if you don't beleive me try looking up "ridiculous" it's a four syllable word that none of the other apps have. That's just one example. Amazing. I love it. 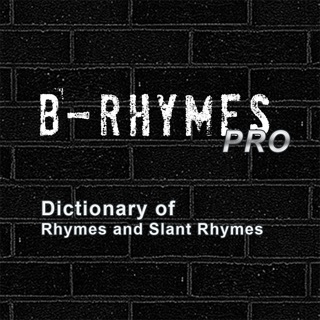 Summary: you can get long lists of perfect rhymes almost anywhere - this useful collection of close-rhymes with common and familiar words is a perfect songwriting tool, and a no-brainer for 99 cents! Really awful and not worth even the small amount of money it costs. This application really makes me think that Apple should have a return policy--if you don't like it you should be able to get your money back!